My story: Born with beautiful hair- soft, dense and lustrous. In my late teens, I started coloring my hair as I wanted a model look-alike, inspired by glamorous adverts. I used top brands, thinking these won’t harm my hair. Because head massage is really really good for your hair. Okay, that was a short explanation. When you head massage, it stimulates the scalp circulation and brings with it more oxygen and nutrients for your hair follicles. More nourishment means your hair will grow healthier and stronger. Another question that arises is should you use oil? Well, it’s not necessary, it’s your choice. You can massage with or without oil. But if you choose to use oil, make sure you use cold pressed oils like coconut, castor, almond or olive oil. How to massage? Apply oil (of your choice) on your scalp and massage gently for 5 minutes or so. Let the oil soak in for an hour before washing, or you can also keep it overnight for better conditioning. For healthier and stronger hair, head massage at least once a week. I tend to stay away from conditioners as they are one of the culprits of my hair loss. When you apply conditioner, you are putting more chemicals on your scalp and hair. And since they are heavy and thick, they can clog your hair follicles and halt growth. Keep your hair care as simple as possible. You can pre-condition your hair with coconut or almond oil and then shampoo. Plus, you can replace the conditioner with plant infusion or hair rinse (see the next point). And if your hair dry hair, frizzy with flyaways there’s a natural way to calm them down — use a leave-in conditioner. You don’t need any fancy brands. Again, oils like coconut and almond make an excellent leave-in conditioner. To use: Take a few drops of oil and rub it between your palms and apply to damp or dry hair (avoiding the roots) and leave in. I absolutely love hair rinses. They are so nourishing to hair follicles that they stimulate new hair growth. So if you are desperately trying to grow your hair, you have to start using hair rinses. When do you use hair rinse? Use after you wash your hair, to condition, rejuvenate and kick-start hair growth. 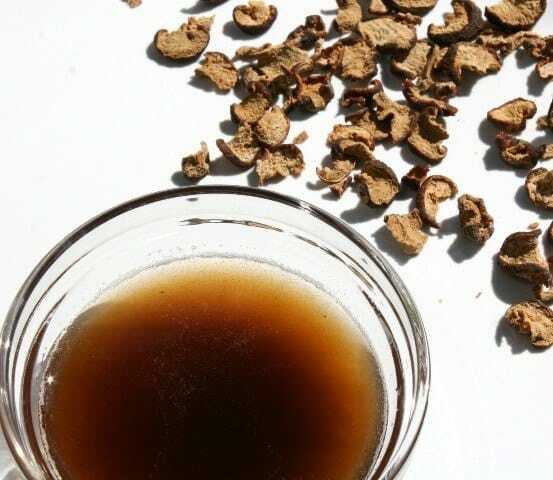 Making a hair rinse is as simple as making a herbal tea. Add hot water to the herb of your choice, let it steep, covered until it cools down, then use. My favorite hair rinse is the first one on the list. But you can create your own depending on your hair’s need. Choose one or more hair nourishing herbs such as: chamomile, hibiscus, rosemary, fenugreek (methi), lemon, orange, amla, sage, marshmallow, nettle and mint. A fine comb can hurt the delicate new growth and cause abrasions on your scalp. Whereas wide-tooth wood comb is more gentle (compared to the plastic ones) on your hair and scalp. Wide tooth comb also provides massaging effect and help distribute sebum (natural oils) from the scalp to hair. Here are some great options for wooden comb and hair brushes. This is an ancient technique and works similar to reflexology—through energy channels. When you rub fingernails briskly against each other, for about 10 minutes every day, it stimulates hair growth and makes your hair healthy and strong. Every time I lose hair -while oiling or combing- I affirm that a new and healthy hair will grow in its place. Hair affirmation is a powerful tool that helps you worry less and care better for your hair. You can create your own affirmation and visualize yourself receiving it. Some examples of hair affirmations are: my hair is healthy and growing fast, my hair cells are rejuvenating, I take good care of my hair. 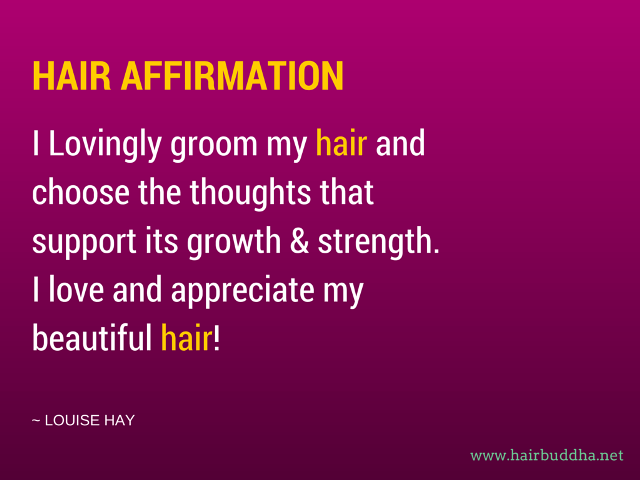 You can remind yourself to say these affirmations whenever you are combing your hair or stroking it or massaging it. Send it love and speak with love and care and you will be surprised at how quickly you see the results. And please ‘Refrain’ from saying anything harsh to your hair, even if you may be tempted to do so. Or your hair will be doomed. No, I am joking, but you will push away your hair recovery, trust me on this one. 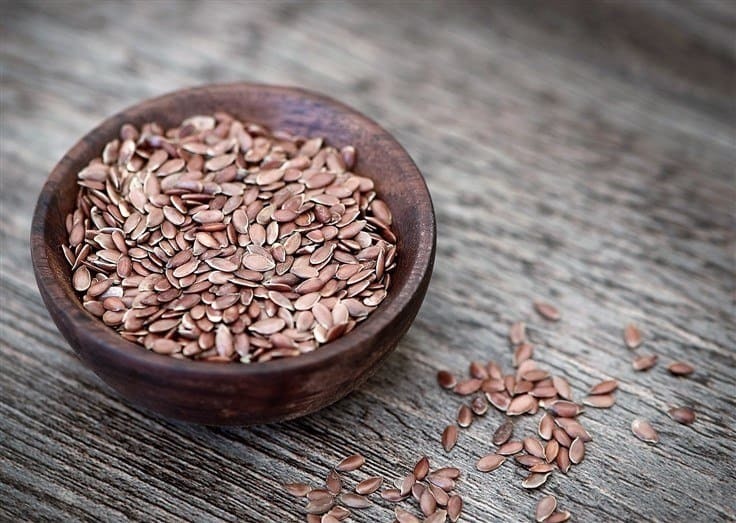 Also known as linseed, alsi or jawas, flaxseeds are one of the richest plant sources of omega-3 fatty acids. These essential fats moisturise the scalp skin from within and help reduce dryness and flakiness. Thus, it can improve the symptoms of dandruff, eczema and acne. Flaxseeds also contain several B vitamins, and minerals such as copper, manganese, magnesium and selenium. All help keep hair strong, healthy and, most importantly, out of the drain. How to eat? Sprinkle some ground flaxseed on your salads, or add them to your smoothies, or when making bread/naan/rotis. You can also make delicious flaxseed chutney. Simply sitting on your desk (read chair) all day is worse thing you can do to your hair. When we exercise, it helps to reduce stress hormones — which are the bad boys that love to latch on to your hair follicles and damage them. Okay, even if you are happy and nothing is stressing you out, still moving your booty can boost blood circulation of the body (including the scalp). And as we saw above, more blood flow means more oxygen and more nourishment for your hair. So if you desire thick beautiful hair go for a walk, cycle, play sports, run, dance, do yoga, cardio or whatever you enjoy. Get up and get moving! What would happen if you keep an elastic band stretched for hours? It will start to lose the stretch. Similarly, if you wear tight styles every day, it will put a strain on your hair roots, causing hair loss in the long run. Also, your hair may stop growing permanently from areas it is pulled most from, causing a bald patch. Once in a while is fine, but wearing tight styles every day is a big no-no. For daily wear opt for loose updos, ponytails or braids to keep hair tidy, but damage free. 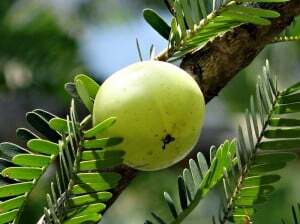 Amla is one of the Indian berries. But it needs a special mention because this berry is one of the highest sources of vitamin C (10 times more than an orange). And vitamin C is a powerful antioxidant, and it helps to get rid of hair damaging free radicals that are generated normally in our bodies. But as we age, their number keeps on increasing. Besides, amla also contain other powerful antioxidants such as gallic acid, and ellagic acid. And with such a super combination of antioxidants, the free radicals do not stand a chance to destroy your hair. Ways to use: You can use amla juice with coconut oil or amla oil for a head massage. You can also add some amla powder in a hair mask. But the most effective option is to eat fresh or dried amla every day. I have another good option – I take 1tsp amla powder or triphala with a glass of water every morning – It’s one of the best detox drink you can find. After the color tragedy, I stay far away from synthetic hair colors. I have very few grey hair, and I use henna to cover my greys. Surprisingly the number of white hair have also reduced in the last couple of years (I can’t point to one single thing that I do/did, perhaps little of everything has helped). Why you should avoid hair dyes: Synthetic hair dyes contain harsh chemicals such as ammonia, hydrogen peroxide, p-phenylenediamine, which can irritate the scalp and cause strain on hair follicles. Repeated exposure can also damage the hair follicles, potentially resulting in thinning and hair loss. Plant-based dyes such as henna can produce gorgeous hair colors ranging from red to dark brown. I am 95% vegetarian and occasionally eat some meat. So I get my quota of protein and iron from super healthy and super yummy lentil (dals) and beans, which I mostly sprout. As we know hair is mainly composed of proteins, and lack of protein will slow the hair growth, and can even cause brittle hair. Iron is another important nutrient for healthy hair growth. It transports oxygen to our cells, including hair cells. And too little oxygen affects the hair growth. So make sure that you’re eating enough protein and iron in your diet. 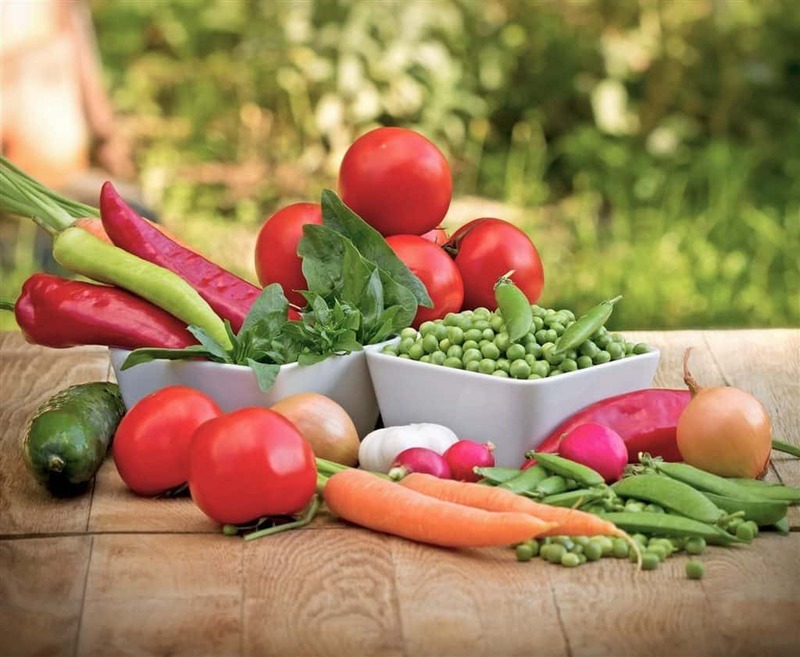 Fresh vegetables and fruits are an absolute must for getting the hair of your dream. Unfortunately, there are no pills to substitute them. They supply you with vitamin A, C, E, K and minerals such as calcium, iron, magnesium, zinc and selenium — to grow healthy and strong hair. Plus, fresh veggies and fruits also packed with antioxidants. Aim for 5-6 portions of fruits and vegetables daily. You don’t need to eat exotic, expensive ones. Eat more variety and eat what grows locally and what changes seasonally – as they contain maximum goodness and are best for your hair, health and skin. It’s an age-old Indian culture to infuse oils with herbs like amla, brahmi and bhringraj. Such medicated oils not just promote lush hair growth, they are also nourishing and calming for our nervous system. 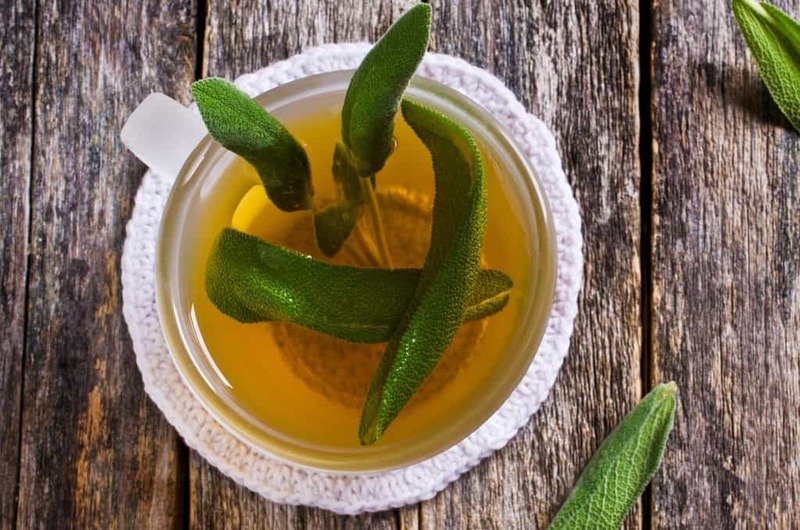 Western herbs like rosemary, chamomile and nettle are also beneficial for hair growth. You can either buy the infused oils from the market or make your own, here and here are some ways to do it. Have you ever experienced your hair falling off like autumn leaves or turning grey overnight? Well, I have. I was doing all the right things like eating healthy, exercising, but all of a sudden I had a deluge of hair fall. And the reason was excess worry or stress. Stress affects all of our body, and our hair is no exception. Never-ending stress can cause a disproportionate number of hair to go into resting phase at the same time. And this leads to large clumps of hair coming out all at once. I have straight hair, but I always wished that my hair was curly. Perhaps, it’s a human psychic to want what we don’t have. I considered perming many times, but never really did it. And thank goodness I didn’t. I have used steamroller, heat tong and blow dryer a few times. But whenever I used them, I felt these hot appliances did more harm than good, so I have stopped using them—for good. Chemical treatments, use of heat appliances and vigorous styling can actually affect the hair root, causing hair loss (which would not have occurred otherwise). So keep them for special occasions only. The market brought hair products have caused me a lot of trouble—itchy and flaky scalp, rough, dry hair and the most painful…hair loss. Shampoos, conditioners and hair styling products can contain harsh chemicals such as SLS, propylene glycol, isopropyl alcohol, phthalates, artificial colour, artificial fragrance (also known as “parfum”), parabens, etc. These synthetic chemicals can do more harm than good, so choose the hair products wisely. In the end, I want to add that you got to keep patience. If you start any new ritual, it will take about 4 to 6 months (I am being honest here and not giving a shorter timeline just to please my wonderful readers) for any noticeable change to appear. It’s over a decade now that I have been researching and trying various home remedies to reduce hair loss and regrow lost hair. The most important remedy to get an instant result is using homemade shampoo. Yes, homemade shampoo can make a terrific difference in just a week or two. It’s a magical solution that will bring real quick results. So now you must be wondering how can I make shampoo at home. And if I tell you it’s as easy as making instant noodles, will you not give it a try? I have already done the boring homework for you. Over the years I have tried a various combination of herbs and clays and other natural ingredients and have shortlisted only the best that nourish the follicles and promote hair growth. My all-time favourite is ree-shi shampoo. The second favourite is egg shampoo. And here are 4 most effective shampoos for hair loss. 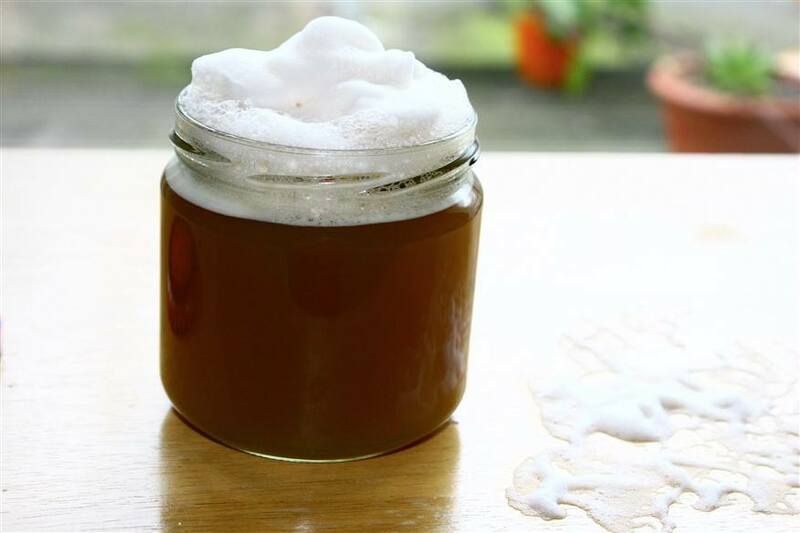 If you are serious about regrowing your hair, then give the homemade shampoos a try. 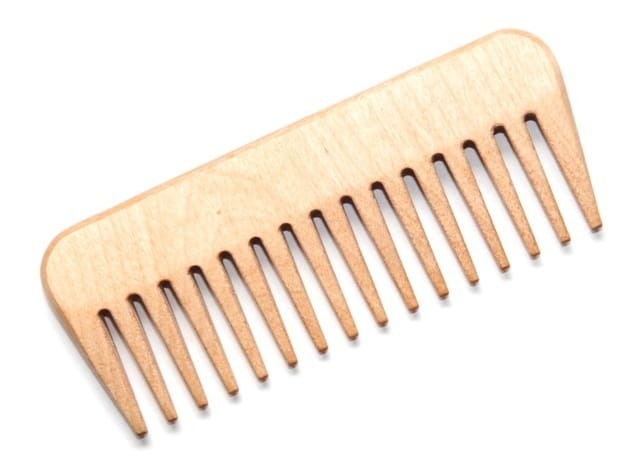 The second important remedy for hair growth is using a wide-tooth wood comb. It’s very soothing and relaxing on the scalp and stimulates the hair follicles to wake up and grow new hair. Alternatively, you can also use a wooden hairbrush to comb your hair. And the third most important thing that many of you already know but conveniently ignore is Drinking Water. Our body is 70% water, and if it doesn’t receive enough water it will not function well, and your hair will not thrive in the dehydrated environment. 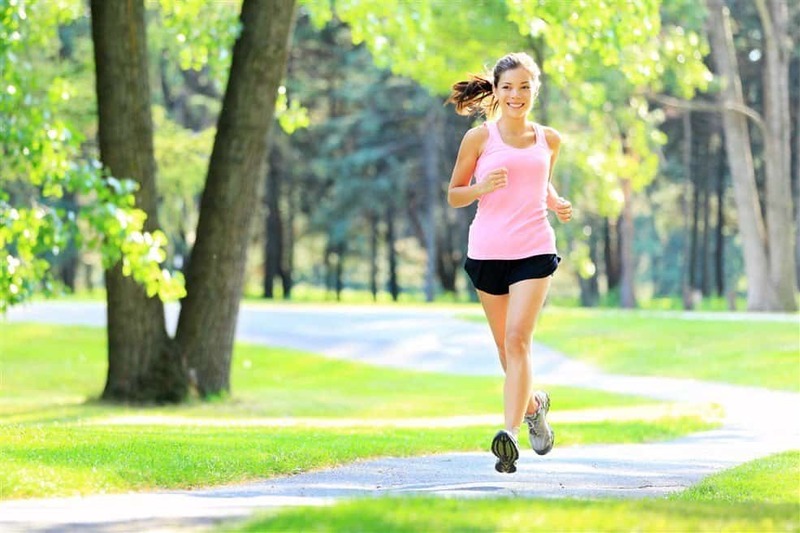 Lastly, get adequate sunlight, around 20-30 minutes of sun exposure is good for overall health and hair. Sunlight is necessary to make vitamin D, whose deficiency can lead to hair loss, sleeping difficulties and hormonal problems. I often get asked ‘what are the best supplement for Hair Growth’? Ashwagandha: More details on benefits and how to use here. Fenugreek seeds: You can include fenugreek seeds in your diet or use it in a hair mask. Amla: Packed with antioxidants, it’s the best food for hair. Vitamin B12: Low levels of B12 can cause hair loss, greying, irritability, brain fog and palpitations. 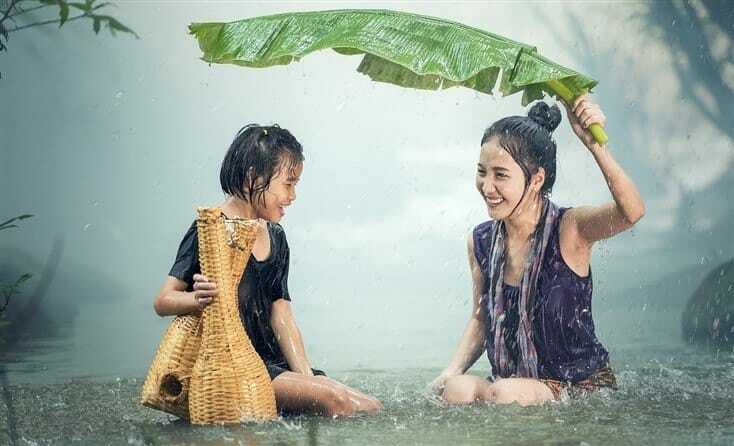 Probiotics for gut health: If your gut is healthy you absorb vitamin and minerals better, which can, in turn, feed your hair follicles and grow healthy hair. Berry powder to up your antioxidants. Also, eat 5-6 serving of fruits and veggies every day. The most important minerals for your hair are: Calcium, Magnesium, Zinc and Iron. Before taking them first get your blood test done to find out if you are truly deficient. Taking unnecessary vitamins and minerals can also harm your body and hair. Growing your hair back is as simple as growing any plant. It needs some patience, sunlight, water, nutrients, love and care. If anything goes missing, your plant will wither away. So don’t haste, give your best and let God do the rest. Wish you Thick, Shiny and Fabulous Hair you desire. I have shoulder-length straight hair, but I felt like my hair wasn’t “straight enough” so I bought a straightener February 2018. At first I was only straightening my hair on special occasions, but after I got a job, I started straightening my hair every day of the week, sometimes on the weekend too. Everything was fine for the first couple of months, but I noticed in October that my hair was starting to thin. I completely stopped using the hair straightener in December. It’s been a few months now, but my hair hasn’t really grown back yet. Should I be worried? Please tell me does pulled out hair grow back???? my teenager has cut her roots she wanted to get rid of her fringe and now she has major bold spots and her roots aren’t growing back fast any tips? I had no idea that stress really can causes hair loss. Wow, have I been through so much stress in my life! But, as i am writing this i have olive oil on my scalp.Also, have so many rosemary bushes in our yard and am steeping them now., I will also toss out the store bought hair color and switch over to Henna. Great information! Thank you for all of the great natural remedies you have shared with us. I can’t stress enough, how bad is stress for our hair and overall health. Rosemary is a lovely herb for hair, let me know how it works for you. Hi minaz! Did u have bald spots before? Hello Sharanya, yes small ones. What are the blood tests to be done for hair ? I suggest you consult your doctor first. You can check iron, B12, vitamin D, zinc, calcium and magnesium which are usually low in hair loss. Sorry I have never used Navaratna oil. You can use pure coconut or almond oil for head massage. I have menopause now my hair is thining and have bald sopts any suggestions for a home remedy thank you. Probably the best hair loss guide I have ever come across. Thank you for putting in thus much detail and effort. I cannot wait to start following these guidelines. Oil: parachute coconut oil and aloe vera mixed product. Please help me how to regrow my lost hair and prevent current hair fall. Not sure if you’ll see this, but I hope you do. I loved this article cause it gave me hope for my hair. I’m a 21 year old male, I’ve had my hair line start receding just at my widows peak for the past 2 years. Do you believe these tips will help for that? Are there certain ones that are best? You can start with homemade shampoo and fingernail rubbing. You should see results in a week or two. Also, I keep posting my latest research and discoveries, you can get latest updates if you subscribe to free newsletter. Don’t be constantly touching them, that will disturb the roots. You are right in shampooing first then then using ree-shi rinse. Try egg as a shampoo and then rinse with ree-shi. When you make ree-shi shampoo add 1 soap nut, 4-5 shikakai, and a teaspoon of fenugreek seeds. Once a week do miracle hair mask. Let me know if you have any more questions. My hair is growing back and I do not know why. 3. Should I look at therapy to enhance the growth? Any advice and or suggestion are welcome. can u plz tell me that in what span of time after following a proper diet did u regrow ur hair?? as now i am following a good diet told by u and also trying some of the yoga poses good for hair.. so i just want to know that after how much time will i notice some good results? Do head massage before sleeping, it will help relax your scalp. You don’t have to use any oil. I am just 18years old and I am loosing lot of hairs I have started taking proteins but it’s not working pls tell me what should I do? Hello, im 20, so i used to tease & dye my hair in high school, i stopped after i learned my hair was thinning. I used to curl my hair alot to make my hair look not flat. for a quite some time now i stopped washing my hair often after learning it damages hair. Yes, I have. I don’t know if they work. And I wouldn’t want to put anything so close to my brain. You are already taking vitamin D supplements, which is good. If you are from India, it’s best to get your Vit D from the sun as there is plenty of sunlight all year round. The above methods of hair growth are holistic, and they will help you. And why has your doctor not prescribed you vitamin D tablets? For dandruff, try this and this. You also need to find out if you have any vitamin deficiency: vitamin D, B12, iron, calcium. Hi Un, I would give it a year for full recovery. And the less you are worried about it, the faster you will see the results. I have lost my hair.I am seeking your good suggestion so that I can get my hair. Great! Let me know how they work for you. Mam, me 28/M used to shampoo my hair twice a week and put light hair oil cause my hair are dry. Then I started using DOVE shampooo+conditioner pack but I noticed conditioner is not good for my hair and this is when hairfall started. I then turned to Patanjali reetha shampoo and now I do coconut oil+ lemon juice massage twice a week. Am i doing right? And secondly, does rubbing nails really work? Please help me mam. Anuj, has your hair fall reduced by doing the above. Fingernail rubbing has benefited many people. Hi Janardan, yes of course you can grow your hair without finger nail rubbing. It’s one of the things you can do. As I shop for Olive and Coconut oils, there are plenty of them in the Amazon link you provided in the post. Can you please specify which one to buying Or any of them will do? For olive oil, buy extra virgin olive oil. And same for coconut oil, look for cold pressed virgin coconut oil. I cured my hair loss by stopping chemical hair dyes and I think vitamin C helped too, as my fingernails are now unbelievably strong. I took high doses at first and now a maintenance dose every day. I am 27 and having severe hairfall especially from forehead. Now i have just 1/3 volume of what i used to have. I am 27 and having severe hairfall. Now i have just 1/3 volume of what i used to have. I have regrown my lost hair. So I always encourage people to try out the natural remedies, as they are the best. Quite good article,it give many tips to re growth and nourish my hair. Sleep for 8 hours without having your phone ringing. Any idea how to help fix this bald spot? What natural remedy have you tried so far? Read my other post: 28 natural remedies to stop hair loss (linked below the post). I have shared hair masks, diet tips etc that have worked for me. Nice to read your effective article. Hi Tejas, I am glad you found it useful. Apart from this, I have a very hectic schedule and I do not get more than 4 hours of sleep on regular basis. It would be a great help if you could suggest me something. Why do you sleep only 4 hours? The above tips have worked for me. Give them a try. I will also suggest you try egg and olive oil hair mask. There are more diet and lifestyle suggestions in this post. Hi Tanya,you are very young. The first question I want to ask you is do you eat healthy? And do you spend time outdoors or are mostly home with your gadgets? Yes, ma’am, I use to eat healthy home made food most of the time and I am usually at home because of pursuing distance education right now. Please see your doctor to rule out any deficiencies: iron, B12, calcium, vitamin D.
I am a 28 year old man and start loosing my hair. Tried with medicine and all other products but all failed. 2) after that use coconut oil for your hair..
Its hard but do it for 2 week and I am sure it will work effectively. Hi Nemesis, give it a few months to repair all the damage that was done. Use wooden comb, and wash your hair with a natural shampoo. Make sure you eat healthy, balanced diet and exercise regularly. Sending you best wishes and love for gorgeous hair and health. Hi Tanu, I hope you have stopped pulling your hair. Massage your hair once or twice a week. 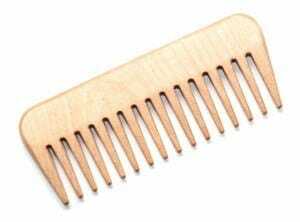 Use wood comb to comb your hair. Also, eat healthy and balanced diet, and hopefully your hair will come back soon. mam i almost lost my crown hairs.my age is 22. is their any chances if i started doing all these things which you meantion, can i i get my crown hair back ? Great THANKS and all your research helps!! Going to try out the things you posted. Use coconut oil mixed with castor oil for head massage. And wash your hair with this homemade shampoo. I’m using coconut oil many a times with castor oil still I’m not being benefited .Bt eating amla nd sesame with other diet recently helped to decrease my hairfall. i was having very good and thick hair,but due to excessive gym workout and medicines i lost all my hair and those remaining have become small and thin…. Here are some home remedies you can use. You can try aloe vera, or egg or fenugreek hair mask. Plus there are also tips on what to eat etc. Another extremely important exercise you can do to regain lost hair is pranayam and meditation. Hi, apply castor oil and egg hair mask or ayurvedic hair mask or aloe vera gel. All your posts are amazing! Hi Mansi, thanks for your sweets words. Try using homemade amla oil or amla-curry leaf oil in coconut base. Salaam. Wen i read ur article earlier…i think i read about something called hair pulling..but this time i didnt c it. Is it an effective remedy? Pls can u tel us in detail the whole procedure? I am facing hairloss from last year and my hair is so thin my scalp gap is even showing. please suggest me to grow my hair, and another thing is when i use oil for massage then i face pimples problem..
i am so confused what to do?? Please recommend me which shampoo i should use or for how many time? Hi, try ayurvedic hair mask or miracle hair mask from the blog. Use this natural shampoo to wash your hair. & Yes suggest me what to eat in fruits & veggies…. Answer me please…. I will be doing a detailed post on thryoid and hair loss. Try one of the hair masks from here. Try and include more pulses in your diet. 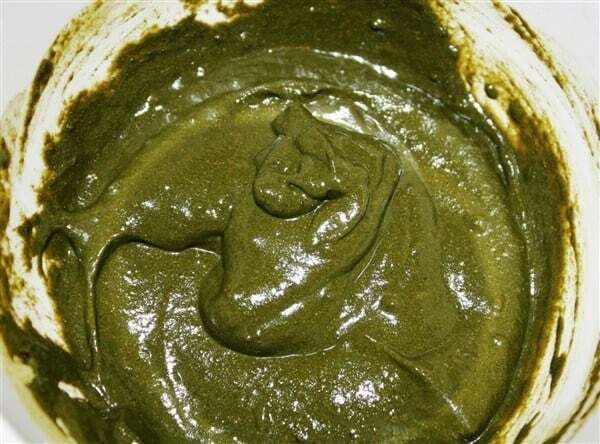 How do i make a hair mask? And what shampoo would you recommend? I have no idea if it will work or not, give it a try and see. Please kindly guide me mam. Hello, I am working on PCOD post. Don’t oil. Use a hair rinse to massage your scalp (Use the first one), let it sit for 5 minutes, then wash out. Use every alternate day instead of shampoo. Thank you so much mam for this suggestion. Excellent. Please do. Also, stay happy and enjoy the process. Regarding hair rinse, it’s up to you. If you find a better solution use that. Once again thank you so much mam for this boost up support. As per your sayings mam I’m neither doing oiling nor shampooing my hair and just following your reetha shikakai amla hair rinse and washing my hair every alternate day. Just having one query mam that in other days i’m just doing hair rinse but once in a week can i shampoo my hair and then hair rinse it? Once again thank you so much mam for this moral boost up support. As per your suggestion mam i’m neither oiling nor shampooing my hair and instead just having my hair rinse every alternate day with reetha shikakai and amla. You can find your answer in my latest post: How to cheat no poo. Need your help mam.Actually i have an itchy scalp and dandruff.Before consulting you i used to wash my scalp with lemon juice that gave me some relief.So need your suggestion mam that in the days i’m not having hair rinse,can i wash the scalp with lemon juice and if you have any better solution to this problem then kindly recommend me. Also wanted to know mam that after reading your article,should i use onion juice for bald hair regrowth being a PCOS patient or hair rinse will do the work of hair regrowth over bald areas? thank you mam for this affirmation. Now just clear my doubt mam,that regarding onion juice,can i use the onion that is mostly available in the market or am i have to use any specific type?Also need your guidance mam that just like you have guided me that i should go for hair rinse every alternate day with 5mins so in the onion juice case,should i have to do it every alternate day(the day i’m not having hair rinse) & for how much time am i supposed to keep that onion juice ? & also should i then just wash it with lukewarm water? mam kindly tell me that regarding the onion juice,can i use the onion that is available in the Indian market and also just like you told me to go for reetha shikakai amla hair rinse with 5 mins every alternate day,so shall i do the same procedure for onion juice 5 mins every alternate day?Also wanted to know mam since i’m doing hair rinse already so in the days i’m not going for hair rinse,in those days can i put onion juice on my scalp? Don’t do so much on your hair, your hair roots will weaken. Onion juice may be once a week. Just wanted to know mam that after going through your sayings at this page,I have been eating pulses,green vegetables,flaxseeds,amla and rubbing my nails for 10 mins everyday.So shall I continue to do this?Also as per your suggestion mam,for how long will I have to do this hair rinse? Yes try nail rubbing, and hair affirmations: say them everyday when you comb. I love this homemade hair mask for hair growth, it has fantastic reviews. Also, have you seen a doctor to rule out any real vitamin deficiencies: vitD, iron, B12 ? This article found me at the right time. Hi, head massage with coconut oil twice a week. it should help. Is it really possible to grow new hairs on scalp, what are the medical test to determine the deficiency causing hair loss. What is the diet plan we should follow for healthy hair. (weekly or monthly plan). here’s what to eatin more detail. A nutritionist/ayurvedic doctor can help you form a diet plan. Yes of course it will help. It was a great article to share with us..very useful and simple to follow. Wish to get clarify wether rubbing small onion juice on bald area will make hair regrow….? thanks you from this post i am sharing with information..
Onion juice can help, but not every one. I would say give it a try, there’s no harm. Wow your awsome hair Buddha girl, and very intelligent! I wanted to know that how long did it take for your hairfall to stop and regain the hairline. Also should I use all the oils together? For how long should I use a particular oil? Should I switch to another oil after some time or be fixed to one oil only. Currently am using almond oil mixed with castor and jojoba. Is it beneficial ? For how many months can I use it and then switch to another ? If those oils are benefiting you continue them. Coconut oil or amla oil are good choices. Also include coconut in your diet. It will take a few months to see actual results. Hi, do a light massage on that area. It may help. My hair has been falling a lot and Im near to becoming bald.Ive even consulted a doctor..they donno the cause of this.even the thyroid tests and etc were negative.Im really worried.Will my hairs ever grow back if I go bald? 🙁 how can I find the cause of this? I hope you can help me thank you! Hi Sagar! I have encountered that problems too. I used Stieprox Shampoo but in some cities/countries it is not available. Alternative option is Nizoral. I use it 3 times a week. Whenever I’m not using Stieprox/Nizoral, I use Loreal Elvive Extra Ordinary Oil In Cream. These 2 help a lot. This is a great natural remedy for dandruff. Hi, I’m 15 y/o my hair is falling, basically I can feel the spaces between my hair and I can touch my head, I kinda lost some from the forward so my forehead looks big, my hair was perfect when I was young but eh…, Is there any solution? Hello Mohmoud, how are your eating habits? do you think you can have any vitamin deficiencies. I have written above what worked for me, may be you want to give them a try. hey I have always had a big forehead for as long as I can remember will this help and if it will how long will it take. plz answer cause this is a very serious topic for me. Hi, mam i use to apply almond oil it was good also, but recently im using hair for sure for gaining new hair but instead of getting hair my hair is becoming very thin and falling, what should i do………? and im using it for past 20 days……..
Hi Shiva, try coconut oil mixed with castor oil (2:1 ratio). Just wanted to know the best to cure the hair loss. M losing it in large. specially in the middle part of the head. Now it is very thin and getting thinner and thinner day by day. Please suggest me the best I can do to stop my hair fall. You can give it a try. The visualization part can help you a great deal. Have a clear goal on where you want your hair up to and stick to it. Hi, grt blog.very useful and simple to follow. Wish to get clarify wether rubbing small onion juice on bald area will make hair regrow? Hi Peter, coconut oil and amla oil is good for head massage. I will soon be doing an update on regrow your hair. Hi Priya. Are you a vegetarian? Have you checked your iron and vitamin D levels? Here are some simple masks to bring you some relief: Miracle Hair Mask and egg mask. Hi Venkat, Here’s an update on how to stop hair loss and grow hair back. Include foods such as coconut, dates, munnakka, ghee, yogurt in your diet. Hi George, may be the hair straightening is causing the hair loss. Is the wax natural ? You can make your own, here’s the recipe. See can also try the Miracle Hair Mask, it will naturally soften your hair. Hi Vijay, you can try khadi brand shikakai shampoo. I would suggest you go to the doctor and find out if you have any vitamin deficiency. Lack of vitamin B12, calcium, vitamin D, iron can all cause hair loss. Make sure you eat healthy, do head massage, finger nail rubbing and wash with reetha shikakai shampoo. Pin curl your hair? You don’t need heat to give your look variety. Stopped parlor massage and started my own 10-15min massage on weekly basis. I am using oats+chiaseeds+flaxseeds+fenugreekpower+almonds pack mixed with cow’s milk as hair pack for 2 times a week whenever I wash my hair. Hi Suja, so happy to hear back from you. It’s great news that your hair fall has reduced drastically. Hurray!! I have listed shampoos according to hair type under the section: Shop. Have a look. When you use reetha, use it with shikakai and fenugreek seeds. Hi minaz I am 21 yr old and lost more than half of my hair i have taken all kind of treatments like minoxidil topical solution, saw palmetto etc but nothing happens what should I do ? Hi ma’am…I am 24 yrs old. I had very less hairfall when I was in my hometown. Now I shifted to some other town and now I am having a huge problem of hairfall. On the right side of my head, the hairs are getting more and more thin day by day. I have been using castor oil with olive oil and shikakai shampoo for last 7 days. Can you please tell me what else can I do?….I am really worried. Or should I go for hair transplant only on my right head corner??? Based on what you have experienced is washing your hair in hot water better or is cold water best? which one is the best recipe for hair growth and dandruff clean. What clays do you get in turkey? Moomiyo Clay as I know. But I have no idea about the clay types. I only have that type. Thank you so much Minaz. Do you have any advice for regrowing hair ? Did I understand it wrong ? No my mistake, I thought you were asking about hair wash. Moomiyo(shilajit) is hot in nature, so it may not help with hair loss. But I am not sure about this. Thank you so much. If you know other type of clays or igredients for regaining lost hair please share with me, maybe I can find them. You can use aloe vera or egg pack..
Hello ma’am. I have been experiencing hair loss for almost two years and my hair is thinning. I just wanted to inquire if onion juice massages is good for my hair and help prevent hair loss? Hi, I have heard it helps, but never tried it myself. Just give it a try.. I am 19 year old girl.It’s been nearly 3 months I am loosing hair.Doctor said that it is due to stress. And she has given me vitamins only. If stress is causing hair loss, try relaxation techniques like yoga, pranayam, yoga nidra. hi minaz, thanx for the reply. is coconut oil with garlic is good for hair..? Hi Laxman, amla oil in coconut base is good. Add brahmi and bhringraj to it. here’s how to make it at home. Are you sure we will regain our lost hair…if we follow the 17 steps? have you tried all the 17 point from above? Have you checked for any deficiencies? iron, calcium? Are you eating healthy? If oil massage is not working try gentle massage with green tea or licorice. Exercise/yoga regularly – it increases scalp circulation and also helps reduce stress, which is one of the major cause of hair loss. Hi Gillian, it could be factors such as change of water/ weather, food, and even added stress. Hopefully once you settle down the hair loss should reduce. Take good care of what you eat and what products you put on your scalp. I’m a male of 20. I’m feeling bad that being just a college student I have lost a lot of hair over my scalp. If you see my head with close look I’ll look a little bald. I wanted to know if you can provide me tips for removing dandruff completely from my head, the dandruff has also given my face pimples, and I’m going to use Amla, thanks for your help. Also, after washing, when your hair is still damp , apply a few drops of oil to seal in the moisture. Thanks for the quick reply. Stay blessed. All dals are good. 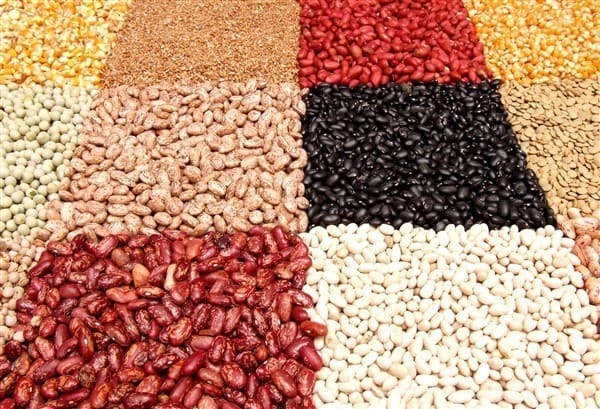 You can also add beans, nuts – (walnut, almond) and seeds (sesame, flax, sunflower, pumpkin). Even green leafy vegetables have good amount of protein in them. Hi Liza, start with head massage and use a natural cleanser to wash your hair. hi i am selva ,i have the problem of hair fall i am only 15 what to do???? Use alovera gel for hair, good for dandruff, and regrowth of hair. Hi minaz, u have written in ur post that u used reetha- shikakai rinse after shampooing ur hair. So wil u please tell me that which shampoo u have used?? Bcz I have tried many shampoos and each one caused me hair fall 🙁 please help..I m suffering from severe hair fall. Hi Rose, I now use reetha-shikakai as shampoo, and it cleans my hair beautifully. I Stopped using store bought shampoos and that has really helped with my hair regrowth. I have written more about what else I use in this post. Rose, add couple of more reetha and some amla. Soak overnight in 1 1iter of water. Boil this mixture, then let it simmer on slow for about an hour. Let it cool and strain. Use this first on dry hair, rinse and then use again – scrub well. where can i get those ingredients? another question, is it possible to regrow hair if its a genetic cause? Manpreet, start with massaging your head every day, with or without oil – do a gentle head massage for 5 to 10 minutes. To wash your hair use reetha-shikakai shampoo (refer to above comment of Rose). And try and follow my pointers from the post. Have you checked yourself of any deficiencies? If not do it. i work from 9 pm to 6pm in the morning. But i do sleep for atleast 7 hours a day. wil this cause hair loss.. whats your opinion on indu lekha hair oil ? I Don’t think that should cause hair loss. I have never used that oil so I can’t comment. Hello Minaz, I am Ramesh(29,Male). First of all, thanks for the wonderful article. I’ve noticed abrupt hair fall for 6 months or so and my hair is very soft and long in nature. 2. Is it ok to wash hair daily? Cutting hair will not reduce hair fall, it’s just that shorter hair is easier to manage. And do not wash your hair every day. It will strip away natural oils, dry out your scalp and can damage new growth. What do you use to wash your hair? Manish, What natural remedies are you following? Are you eating healthy? Include vegetables, fruits, beans and dal, flax seeds, sesame seeds, munakka, dates, and homemade/live yogurt or butter milk. I will soon be writing an update on regrow your hair. You can subscribe for new updates. Also consider seeing a nutritionist who can help you device a proper diet plan based on your needs. while 17 i had to apply paint on hair for some drama and to remove it they applied kerosene oil,is it the reason? and my mother says its genetic because all my family membershave less hair thickness? if so,if its genetic will these techniques help? Sorry to know that you lost a lot of hair. Synthetic paints and kerosene can be really damaging for the hair follicles. As far as genes are concerned, there is a lot of new research coming out that healthy lifestyle can affect your genes – which is very encouraging. I would say don’t give up hope, but at the same time don’t get obsessive about it. I have shared a lot of tips on this site to regrow hair. have you tried reetha-shikakai homemade shampoo ? Nisha, tum kya natural upay kar rahi ho? Muthu, do head massage using amla oil. And wash your hair with reetha and shikakai. Also, include lots of vegetables and fruits in your diet. Shreya, it took 4 to 5 months to see any visible results. Biotin is found in many common foods such as peanuts, egg, almond, sweet potato, walnuts, carrots etc. So I would rather eat these foods. Self supplementing is not a good idea. If you think you have some deficiency or need an extra vitamin ask your doctor/health practitioner. Doctors don’t study nutrition. If you asked a Dr. what supplements do what, they would have no idea. Better to educate yourself on the subject. My hairs are very thin and I also have spaces in my scalp, which makes it more thin. I have followed few of the above options but not regularly. Also, because of sweating, hair loss is more. What options you have have tried so far? Use this hair rinse: http://www.hairbuddha.net/?p=2940. Although it’s for greying it will help with hair loss, and sweating too. Also, eat healthy and exercise regularly. I’m an 18 year old girl, and I have naturally thin and fine hair. It’s especially scanty at front left side of my scalp. By following the methods you have explained, is it possible to grow new hair? I really want thick hair, since everyone I know do, and I always feel like the odd one out, having really thin hair. Hi Nikhita, you will never know until you try. Have you checked yourself for any deficiencies? Yes, I have had myself checked, and I’m a little deficient in Vitamin D, but I’m taking care of that now. Is this related to thin hair? Hi Nikki, Yes vitamin D deficiency can cause hair loss. Yeah, I feel it when I rub my nails. But it’s very subtle. You almost wouldn’t notice the tingling sensation unless you close your eyes and concentrate on your scalp. 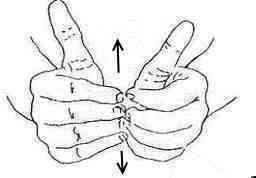 ok one more thing.please tell me right technique of doing it.what is the meaning of RUBBING NAILS FROM BACKSIDE ? Back side? I don’t think that’s possible..
Just look at the picture in step number 5 in this blog, and do exactly how it shows. But don’t rub your thumb nails, because that increases facial hair growth. Unless you don’t mind facial hair, then go for it. Hi minaz..is balayam yoga suitable for females? ?..as it induces hair on ears n face also..plz guide me..!!! Hello Nimra, Yes women can do it safely. But avoid if you are pregnant or suffer from high BP. Aloe vera is very useful in counteracting the effect of androgens. Yog nidra, pranayam, asanas help to calm you and improve your body’s healing capacity. You may want to join a yoga class if you have not practiced it before. Note: Please consult your doctor before starting any natural/herbal options. Thank you for your quick reply Doctor given me some tablets for to get regular periods does not help to stop losing hair. Please provide more details about aloe vera for polycystic ovary syndrome thank you. Anu, I suggest you visit one of the patanjali/ramdev baba clinics, they will guide you on how to take aloe vera juice. I think they recommend first thing in the morning, but just check with them. And I would really recommend anulom vilom and bhramri pranayam. Have you done yoga before? If not then learn form a good teacher. Start with head massage and fingernail rubbing. Also pay attention to what you eat. Your hair needs nutrients to grow back, so eat a balanced diet. N also tell me that these tablet n lotions is harmful or not?? N nw m take mor f lotion n finex tablet bt hairfall is continue no effect. .. m bht prshn ho gya hn n m only 22 yrs …. Are you doing any of the above things that has helped me regrow my hair? I can’t say whether the tablets and lotion you are applying are harmful or not, check the reviews. Anytime cn I do nail rubbing.? Ankit, If you have never done yoga, I suggest that you learn/do it under the supervision of yoga instructor. I want to caution people against using Mintop (or minoxidil), an anti-hypertensive medication. If you read in various forum about the horrible side-effects you will want to keep away from it. Some of the side-effects of minoxidil include: redness and irritation at the treated area, unwanted hair growth, contact dermatitis, irritation of eyes, early wrinkles – it can actually age your face (read the reviews on forums), dark circles under the eyes, bloated eyelids, and many more. Yeah when I was using mintop it use to make my skin tighter.Thing is that still people want to use mintop like things thinking that they will be benefited earlier.But wrong no medicine in the world going to give your hair soon.It may stop hair fall very fast.But to grow new year every medicine,yoga,acupressure will take the same time.So considering the time nail rubbing is best as it is free,easy and do not require space. Hi Minaz…. I hd very long thick and straight hairs before…. miss my bouncy hairs😢…I Hv hair fall problem since 6 yrs….. hoping dat it will stop one day n I will get my old hairs bck…. dint happen anythng as such n nw itz vry worse…. I turned almost bald…. with very less hairs….please help me….right nw m In saudi… n i may nt get all those natural herbs here…. plzzz reply…. stop using any shampoo with sulphates or parabens in them. head and shoulder being one of them. Do not panic Vivek I was loosing hair for about 8 years.Didn’t get bald due to dense hair.By the way I able to bring it under control.Read the website,its different links and my reply to others. Hi.. I hve lost a lot how hair due to keratin treatment how do I regrow my hair now?? Hello Rakhi, What natural options are you trying to regrow your hair? I am thinking of buying Khadi henna to colour my hair. I am suffering lately from hair loss and I have stopped using chemicals on my head. Can you please tell me if you know this brand. Here in Europe is very difficult to find a good brand. I thank you n advance for all your help. Hello Jane, Khadi is a good brand. Pls help me sir i hve lost my more than hair…..hairfallbis my major problam…whitening of hair is also make me disapoint pls replyband help me. Vinit, Eat Amla – fresh or dried. Also massage your scalp using amla juice or powder and almond oil. Hello Shivani, I have got back my lost hair. Start with nail rubbing. Use almond oil mixed with castor oil (4:1 ratio) to massage your scalp twice a week. Use natural cleanser like besan , or urad flour to wash your hair. Also, exercise regularly – you do not have to join a gym, do brisk walking, you can go cycling, plus there are thousands of cardio workouts on you tube. And lastly, eat healthy, balanced diet – I have talked about what to eat in the above article. Also include seasonal fruits, cucumber, beet, nuts and seeds like sesame, walnut, flax. shivani, take protien. With mess food one thing we miss out on is protien. we eat junk (carbs and fats mnostly) outside. If you are vegetarianthe you definitly need the supplient. Also have a plate of fruit chat every day (its usally available roadsie). or add apple also to ur diet everyday. Shivani you said hostel food is not good.You are correct.One thing you can do is to take amla in form of powder.One 100gm container will last you a month.Eating amla is very important. Why does the hair-scalp engender the dandruff? Because this causes heavy hairfall I suppose. And how is the Patanjali’s Kesh Kanti oil since it has Brahmi – Bhringraj like ingredients? Will this cure the dandruff? Hello Aniruddha, I would say try nail rubbing for at least 4 to 5 months, you have nothing to lose, right?? For dandruff try this combination: Olive oil, castor oil, and amla juice (ratio of 2:1:1). Eid Mubarak…may allah showers lots of happiness in ur lyf. Thanks a lot Aarav. Eid Mubarak to you too. Hope this Eid brings peace and happiness in your life. can u plz tell me why u suggest not to use steam ?? Aarav, do you mean steam roller?? juz simple steamer. is it safe??? Yes, steamer is fine. However if you have premature greying then limit its usage. I will see you soon about the deep conditioner as well as the hair spray. Your hair oil is a great success. Dear Well Wisher, I have read all the things. I am suffering from hair fall forlast one and half year and now from hair loss to lot of extent,yet I am not bald but if u have any herbal remedy then share with me. 3. Apply brahmi and bhringraj hair oil. Plus, eat healthy and exercise. Hope this helps.